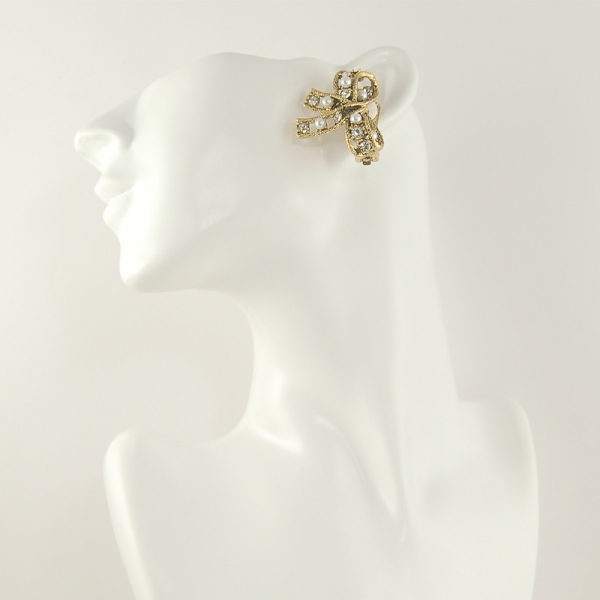 New from the Kenneth Jay Lane Couture collection are these beautiful antique style bow clip earrings. Encrusted with swarovski crystals and pearls which are encased in 22k gold plate. These earrings feature a cushioned clip closure and measure 4cm by 2.5cm. 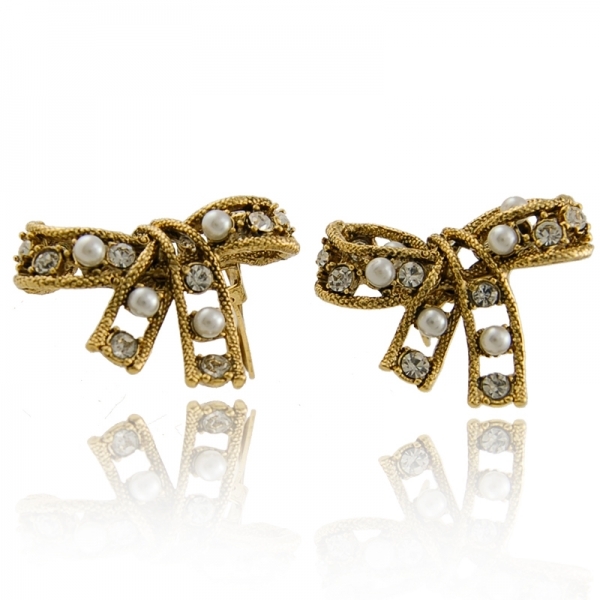 These gorgeous Antique Bow Earrings will add a touch of feminine flirt and fun to every outfit this season.